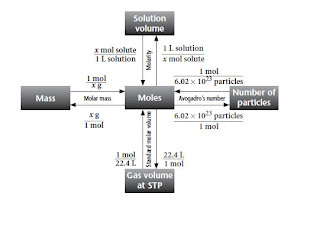 There are three steps to complete when given a molarity calculation in stoichometry. Given this chemical reaction, FeCl3 + Mg(SCN)2 à Fe(SCN)3 + MgCl2, how many moles of MgCl2 would be formed if 50.0ml of 0.200 M FeCl3 is reacted with sufficient Mg(SCN)2? Check out this youtube video for more problems on molarity and stoichiometry! Given the formula Zn + HCl à ZnCl2 + H2, at STP what volume of H2 gas would be produced from 21.2g of HCl? If you are still confused check out this Youtube Video!! But when in doubt follow your mole map! 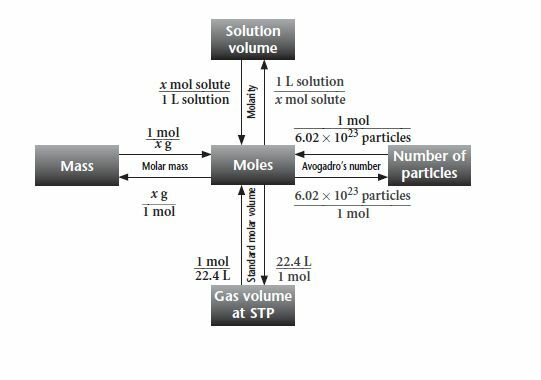 Remember that you can convert between compounds or elements using the mole ratio!!! !